Dicovered by and appreciated by those in the mood to explore. Davidoff Nicaragua, stimulates both the bitter and sweet taste buds. With tobaccos from Nicaragua, where the earth is infused by the fiery activity of some of the country’s forty volcanoes. Davidoff’s experts, led by master blender Henke Kelner, constantly explore new types of blends. For Nicaragua they were looking for a blend that would stimulate both the bitter and sweet taste buds. Henke and and his team embarked on an adventure through the world’s renowned tobacco regions looking for the highest quality filler tobaccos and wrappers, right for creating a unique experience. This took time, dedication and perseverance. created just the right balance of bitter sweet notes to tantalize the palate. The Davidoff Nicaragua - Cigar of the Year 2014 was born. Inspired by Zino Davidoff’s pioneering spirit, Davidoff Master Blenders went on an exploration for a new type of blend that would stimulate both the bitter and sweet taste buds. Finally, they found it in Nicaragua, where the earth is infused by the fiery activity of some of the country’s forty volcanoes. The elegant Nicaragua Toro is spicy and peppery at the beginning, before evolving into a pleasant smoke with the familiar delight of the dual Davidoff sweet and dark bitter chocolate notes. This Short Corona bestows the time to discover the sensorial adventure that is the hallmark of the Davidoff Nicaragua. The cigar bursts with the rich flavors of roasted coffee and dark bitter chocolate over sweet and creamy notes combined with spices and white pepper. This elegant shape is the continuation of the Nicaragua journey. The beautiful Davidoff Nicaragua Diadema provides from the beginning a complex and balanced smoking experience, offering sweet and salty stimulation with some leather notes and a long aftertaste. The new format is aligned with the other Nicaragua cigar in the line regarding the bittersweet taste experience and the peppery & spicy characteristics typical of a Nicaraguan. 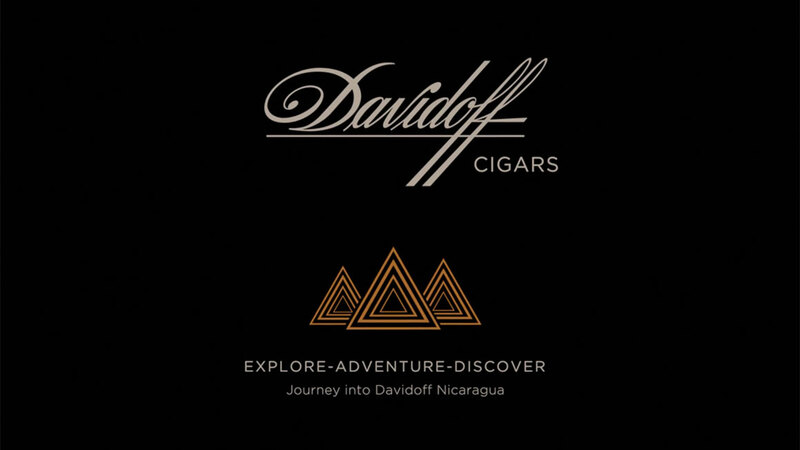 The Davidoff Nicaragua Box Pressed, an Adventure for the Adventurous. Inspired by the passionate, pioneering spirit of our founder Zino Davidoff, and led by Master Blender Henke Kelner, our tobacco masters were tasked with seeking out an intense, new and original blend that would stimulate both the bitter and sweet taste buds. A cigar which takes you on a journey of new palate stimulation and more intensified flavors to satisfy the senses. The traditional Nicaragua Robusto enchants with its gorgeous Habana Seed Nicaragua Rosada wrapper. This superb cigar starts with white pepper notes and spices, before journeying through the peaks and valleys of Nicaragua with creamy and then sweeter notes. The first Davidoff 60x6 Box-Pressed cigar, is a must for every aficionado looking for an intense complexity of flavors. This blend of 100% Nicaraguan tobacco, aged and produced in our Dominican Republic facilities, received the approval of our Master Blender. A blend composed of three different filler tobaccos, a Nicaraguan Habano Jalapa binder, and finished with a dark, oily, deep brown Habano Rosado wrapper. This multi layered blend of carefully selected tobaccos, create a cigar with peppery, sweet, and creamy complex notes, complimented by a beautifully rich aroma.